In December 2016, Work Package 2 "Cross-cutting pathways", led by the Ibero-American Institute, Berlin, presented an updated version of the "Synthesis Report on Cross-cutting Topics". This version of the report analyses the four cross-cutting topics mobility, inequality, diversity and inequality for the scientific and social dimensions of the EU-CELAC bi-regional relations. Future versions will also take the cultural dimension into account. In the following, some of the twelve preliminary conclusions of the report are briefly presented. If we are to analyse bi-regional relations, we must take into account the respective competencies of the two regional partners. In none of the three dimensions of bi-regional relations examined within the framework of the project does the EU have exclusive competence. Nonetheless, there are different possibilities for EU action in policy areas that can be attributed to the three dimensions of bi-regional relations between EU and CELAC. On the other hand, CELAC is a purely intergovernmental political dialogue and concertation mechanism between the 33 Latin American and Caribbean countries. It has no supranational competencies vis-à-vis its member countries. The different institutional architectures of intra-regional relations in Europe and Latin America also have an impact on the possibilities of shaping bi-regional relations. Cooperation programmes and activities between both regions have often been characterized by the participation of only some countries in each region. This is the case regarding scientific mobility in which four countries in Latin America carry a very high percentage of all participation. It is also the case for a frequent exclusion of the Caribbean, or of separate negotiation processes, such as is the case in the climate programmes, EUROCLIMA Programme between EU and Latin America on the one hand, and the Global Climate Change Alliance (GCCA) programme between the EU and the Caribbean on the other. A major institutional asymmetry in the EU-CELAC relationship is related to the fact that beyond the political dialogue, a large part of bi-regional relations is implemented through instruments to fund common programmes and activities which stem almost exclusively from the EU. There is a tendency to which funding dictates the format, the thematic priorities and outcomes in a way in which the LAC region is unilaterally addressed and is expected to enact some kind of change while the EU region is not addressed. Mobility is central to bi-regional relations between EU-CELAC in the field of science, technology and innovation. Although specific motives and drivers for mobility are not necessarily the same on each side of the Atlantic and differ with regard to status groups, disciplines and interests, key factors for mobility include access to cutting edge science and complementary know-how, gaining entry to international technology markets, the valuation of skills, information, and insights concentrated in other countries, and access to funds from foreign institutions and foreign funding agencies. A qualitative and strategic change in the bi-regional relationship with a significant effect on the mobility of information, knowledge and researchers is marked by the initiation of the Joint Initiative on Research and Innovation (JIRI), launched in 2010 at the Madrid Summit. Mobility has had a positive impact on bi-regional relations in the sense of increasing knowledge exchange, knowledge circulation and the co-production of knowledge, the growth of international collaborative experiences, knowledge gain and capacity development of academics and researchers at various levels (students, PhD students, post-docs, professors, established researchers), and the expansion of access and use of infrastructure. 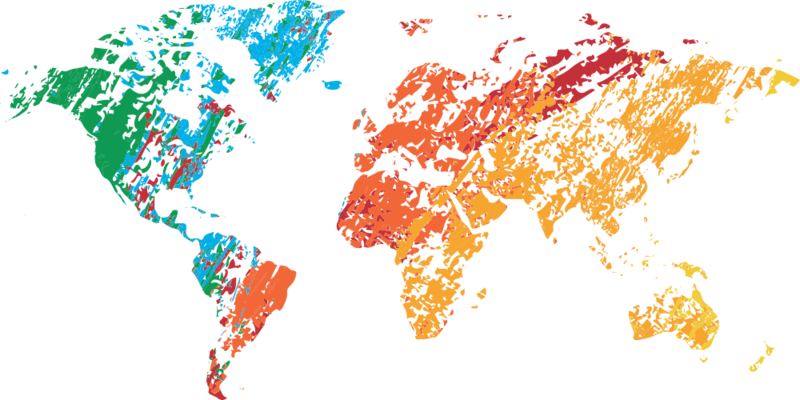 In the scientific dimension of bi-regional relations, diversity refers almost exclusively to biological diversity. Diversity in the sense of other types of knowledge, including traditional knowledge has been politically recognized but has not been addressed through scientific collaboration. In the social dimension of LAC-EU bi-regional relations, diversity is defined through the lens of social cohesion and social inclusion, principally via programmes that seek the inclusion of diversity of the population considered as vulnerable — e.g., groups excluded on the basis of gender and ethnicity, or language. Diversity in the social dimension is therefore closely linked to social inequality.